The effective integration and implementation of Green Infrastructure will contribute to conserving nature. The concept of multiple benefits can ensure that Green Infrastructure is embraced by all stakeholders and ecosystem services are acknowledged as much as any other services. 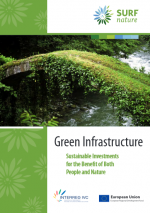 Integration of Green Infrastructure into other policies and spatial planning will increase the available financial support and improve implementation. The success of biodiversity conservation depends to a large extent on how we address other stakeholders such as businesses, local authorities and farmers and work with them to effectively acknowledge the services that nature provides us. The LIFE TIB project aims to rectify this situation by improving and protecting a green area, a portion of the main ecological corridor traversing the Po Plain. 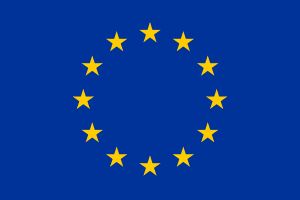 It is an element of primary importance for the Natura 2000 network, which extends on a European scale, since it links the Alpine and Continental bioregions. In particular, the portion affected by the LIFE TIB project extends from the Pre-Alpine foothills of Campo dei Fiori (north of Varese) and the Ticino River Valley. The project, which will conclude in December 2015, has the Province of Varese as the project leader, with other partners including the Lombardy Region, LIPU–Birdlife Italy and Fondazione Cariplo. Also participating are the two natural parks and the thirty-five municipalities in Varese province whose territory is traversed by the two ecological corridors. 1. 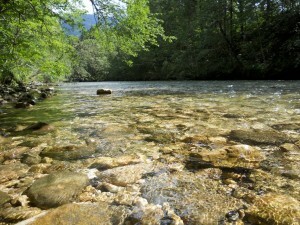 Reducing biodiversity loss caused by habitat fragmentation, degradation, and destruction, through the improvement of the functionality of the ecological corridor linking the Alpine bioregion with the Continental bioregion in the Po Plain/Insubria area between the Ticino valley and the Varese Prealps. 2. Re-establishing the latitudinal connectivity between the Alpine and Continental bioregions for target species (from various taxonomic groups) with different degrees of mobility. 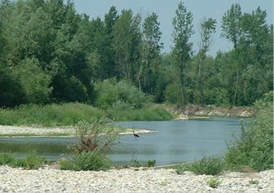 The project helps complete the natural ecological corridor between the Ticino River Park and the Campo dei Fiori park. This is the weak link as it is threatened by human activities, but is also the only possible route of dispersal for many species. Currently, this is the most suitable corridor for preserving a functional link between the Alps and the Apennines through the Po Plain. 3. 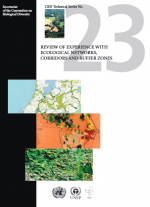 Improving the functionality of critical passages identified along the ecological corridor. 4. Improving, whenever appropriate, the conservation status of Natura 2000 sites, other protected areas, and areas deserving of protection within the framework of the ecological corridor in question. 5. 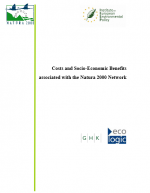 Integrating the needs of generic land use planning with the needs to preserve biodiversity and maintaining coherence with the Natura 2000 network. This can be achieved by strengthening the environmental goals of municipal, provincial, and regional land use planning thanks to the demonstrative intent of the LIFE+ TIB project as a whole, which was conceived within the framework of a major participation and governance initiative. 6. Fighting the spread of invasive exotic species through strategic environmental enhancement interventions. 7. 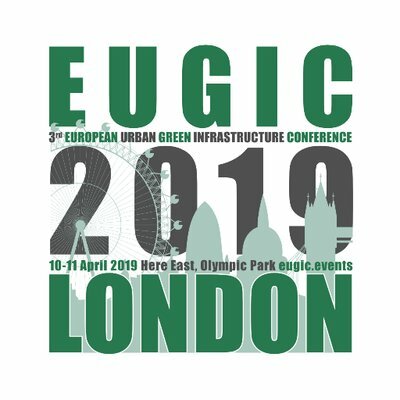 Through the dissemination of results, raising institutional awareness on the urgent need for systemic interventions in favour of large-scale ecological connectivity. 8. Encouraging a culture that acknowledges the intrinsic value of natural capital and the ecosystem services nature provides to the reference community. Biodiversity monitoring revealed increased amounts of dead wood, beetles and polypores. Parks & Wildlife Finland is currently waiting for 10 year monitoring results. 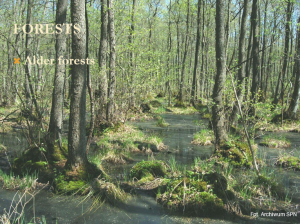 A publication based on their studies (Ecological restoration and management in boreal forests – best practices from Finland) is available online. A coordination group will be led in the Boreal Natura 2000 biogeographical process. Seminar results are available on the Natura 2000 Platform. 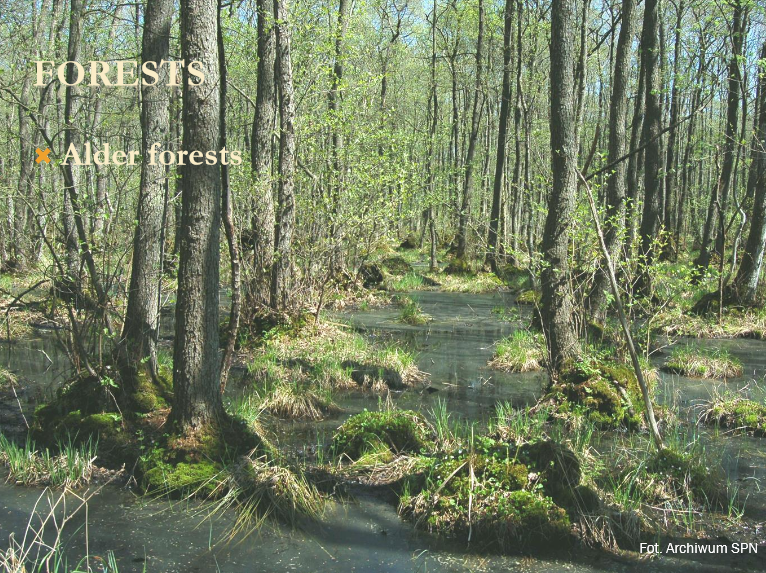 Slowinski National Park in Poland is in a specific situation regarding forest composition and forest reconstruction on the Polish Baltic Sea Coast. In the Park where 6000 hectares is covered by trees, 70% of forests are pine forests. However, as the Pine Pinus sylvestris is native to the area, extensive forest reconstruction has been carried out by the Park’s authorities. Patches of similar trees or groups of similar trees are cut in order to give light to the forest floor and allow for renewal of a mixed broadleaved forest. Such reconstruction takes place in pine stands older than 60 years and especially those infected by root rot. Since 2012 regular before and after monitoring according to Braun-Blanquet’s phytosociological methods has also been conducted. The gathered experts were asked to contribute to the Park’s doubts regarding the best time to monitor for reconstruction results and the age of forest stands that one should target for reconstruction. Although stands older than 60 years should in principle also be rebuilt, the leeching process in the soil might render such reconstruction unsuccessful. The project (carried out within the framework of the New Thracian Gold Programme, funded by the Dutch Postcode Lottery) was implemented in a mosaic of landscapes and habitats in Southern Bulgaria. The sites are high in biodiversity, however, many open space species have recently disappeared. Wilderness management requires natural grazing and thus the project aimed to bring back large herbivores. The Red and Fallow Deer reintroduction program was carried out in collaboration with the hunting society who also supported the project financially. 30 Red Deer and more than 50 Fallow Deer were translocated between 2012 and 2014 and the following year they successfully produced offspring. 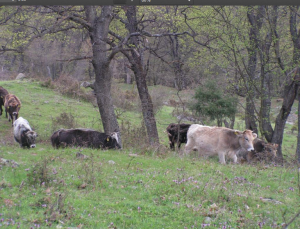 Large grazers were crucial in landscape management. A similar European Bison reintroduction project was also conducted, where 5 individuals were released in during the pilot phase. Both restoration programmes were seen to attract tourists which created an additional source of income for the local people. Some problems in project implementation included illegal poaching. The conclusion was that wild ungulates needed larger areas for migration than the domesticated herbivore species. 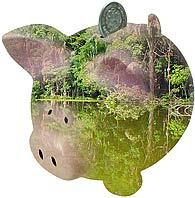 Such investment, however, could be offset by an increase in ecotourism which can boost the local economy. More information is available online. At Pomerania wetlands in the North of Poland, a wetland restoration project for removing invasive trees and old draining systems was initiated by various stakeholders (NGOs, regional forest authorities, regional nature conservation authorities and regional administration office, Agricultural Property Agency, Landscape Park and Ministry of Environment). The project was funded from various sources, by the EU’s LIFE Programme, Fund for Environmental Protection and Water Management, GEF Small Grants Programs and EkoFundusz Foundation. Next to field activities, the project also focused on raising awareness among 300 local people, holding a series of workshops and providing experience-exchange study trips to Estonia and Scotland. It also enabled research activities and monitoring of endemic, protected species and habitats. As a result of the rehabilitation of wetlands, conservation of species and genetic diversity was ensured, along with the increase in the quality of water, flood protection and reduced surface water runoff. 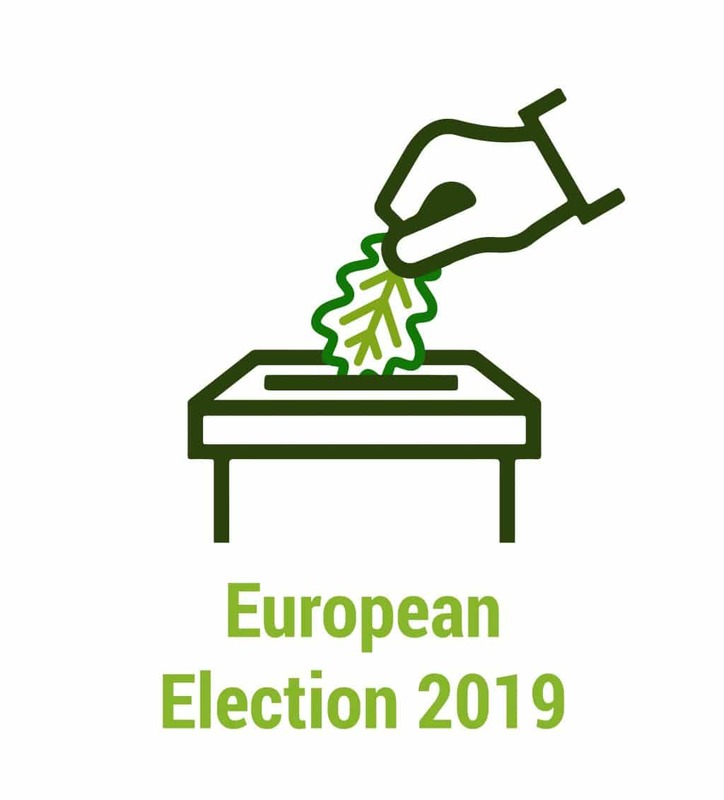 Description: The initiative started with a green connection along the former inner German border where, for over 30 years, nature was granted a reprieve for political reasons. In 1989 A German NGO Bundinitiated the preservation and development of these valuable habitats. Since 2000 land has been purchased in six locations in Germany and restoration of wetlands and transformation of arable land into grassland have taken place as well as implementation of special measures for endangered species. The German idea spread to other countries in the region. The Iron Curtain has been found to have served as a retreat for many endangered species. Nowadays the Green Belt connects national and nature parks, biosphere reserves and transboundary protected and non-protected areas from the Barents Sea in the north to the Black Sea in the south. Protection activities include the restoration of floodplains, wetlands, fenland as well as species conservation by a wide range of organizations and stakeholder groups. In Hungary, activities surrounding the Green Belt included harmonization of transnational conservation efforts between Hungary and Croatia such as protection against from unsustainable gravel extraction, flood management, protection of fish spawning grounds and encouragement of downstream sediment deposition. Description: A corridor was created near the village of Renkum (southern edge of Veluwe forest) by a small creek to reconnect a large Natura2000 forest complex and the river Rhine floodplains. In order to restore connectivity an industrial site was relocated. The corridor was envisaged as natural multi-functional climate buffer whichincreases the amount of space available to deal with more water while at the same time providing opportunities for recreation and innovation (such as the construction of floating houses). 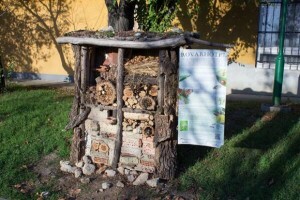 Description: Building insect hotels in urban areas can create more habitats for pollinators. An insect hotel can be built cheaply from any kind of material in any garden. Preserving green spaces for bees is crucial as around one third of our food comes from plants pollinated by honey bees. How to: Hotels located directly on the ground are suitable for ground dwelling insects while those propped up are appropriate for flying insects such as bees. The more natural and diverse the materials used to build the hotel, the better. Hotels that are propped up are thought to be more resistant against rain and rotting. Both types need a roof for protection against melting snow and rainwater. Description: Ecological restoration of habitat has been carried out on 1,180 ha, between 2009 and 2011. Jobs created: 20 temporary jobs. Economic and social benefits: Increased number of tourists (10,000 visitors per year), 500 educational excursions per year. Environmental benefits: Increased number of protected bird species (at least by 5%), increased population sizes, better condition for fish, improved quality of habitats. 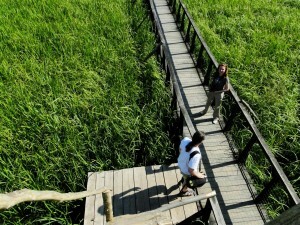 Background info: The Comana wetlands – Natura 2000 and Ramsar site – are a significant area for birds. Before 1990 the area has been subjected to drainage of land for agriculture, which has reduced wet areas by three fourths and has had a negative impact on biodiversity. Sources of Funding: ERDF Sectorial Operational Programme for the Environment in Romania (65%) (Priority Axis 4 “Implementation of Adequate Management Systems for Nature Protection”), and match funding from the state budget (35%). Description: Conservation of Baltic raised bogs in Pomenaria. The aim of the project was to halt the water loss, eliminate biodiversity threats, such as the extension of birch, pine and spurce. Environmental and social benefits: 15 new Natura 2000 sites, 13 new protected areas, flood protection, reduced surface water run-off. 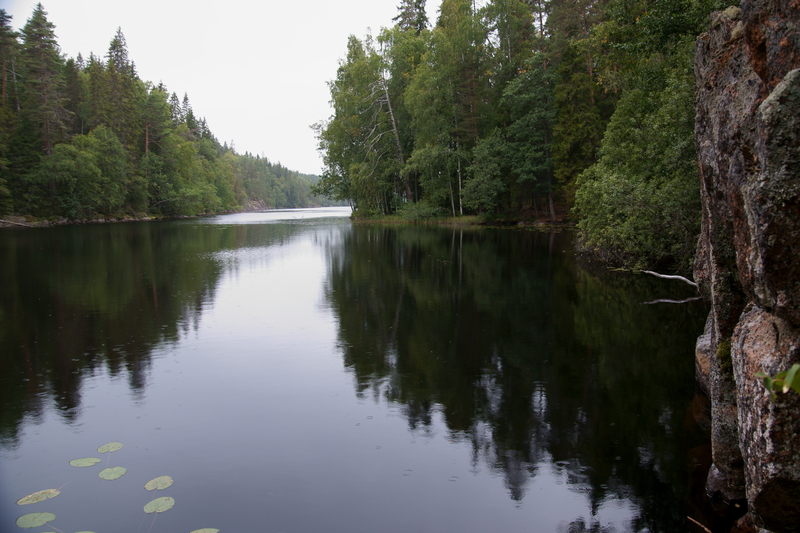 Background:The Baltic raised bogs have a very limited distribution next to the Baltic Sea. The project aimed to halt the process of drainage and subsequent water loss of peat bogs through the building of sluices and dams and through the filling of ditches. Sources of Funding: EU LIFE Program, National Fund for Environmental Protection and Water Management, GEF Small Grants Programs, EkoFundusz Foundation, Regional Fund for Environment Protection and Water Management Gdansk. Description: Re-establishing a continuous green band between the Alps and the Carpathian. Social benefits: Extension of bikeways. Economic benefits: Increased tourism, increased employment. Background: The two greatest mountain ranges of Europe, the Alps and the Carpathians are home of a large number of wildlife species such as, lynx, bear and wolf. The Alpine Carpathian Corridor, connecting these mountain ranges, has been the traditional migration route and one of the most significant genetic flow corridors in Central Europe. Background: In 2012 and 2013 Estonian Fund for Nature campaigned for amphibian tunnels under motorways. 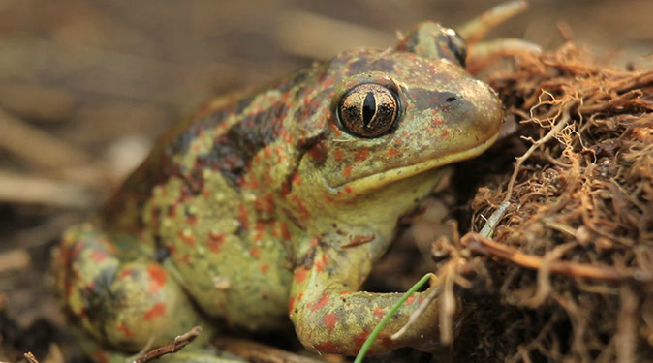 With the help of the media EFN managed to bring over 300 volunteers to help the migrating toads and frogs. 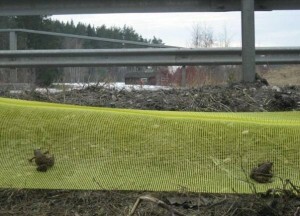 In cooperation with the State Road Administration plans were made to build under-road tunnels for migrating amphibians. 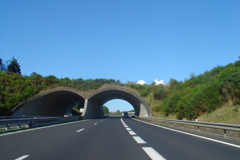 The Road Administration has promised to build tunnels in 5 other amphibian migration hotspots in the coming years. Location: Estonia. 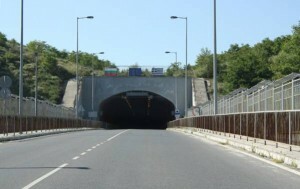 One tunnel under the new Tallinn – Tartu road has been completed and another one is being built under the Piibe road. 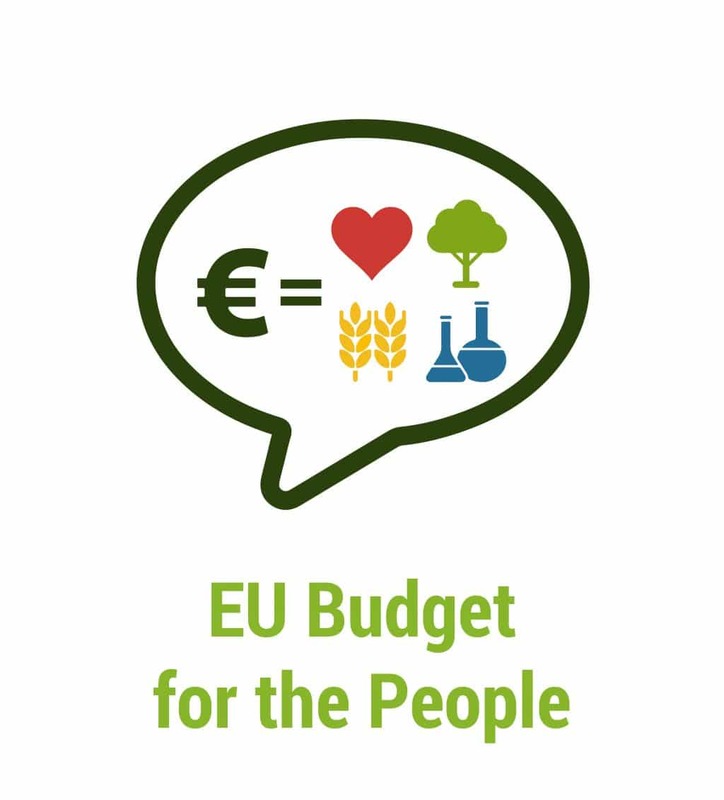 Sources of Funding: The awareness campaign was funded by the Environmental Investment Centre (governmental body), the Tallinn – Tartu motorway was co-funded by the EU; the newly planned tunnels will be funded from the State Road Administration budget and possibly co-funded by the EU. 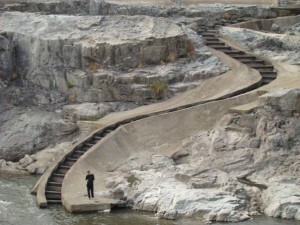 Funding source: Privately funded by the owner of the hydropower station; their cost was included in the cost of the dam. Background Info: Bulgarian conservation NGOs proposed an amendment to the Act on Fisheries and Aquaculture which would require the construction of fish passes at every new dam on the Bulgarian rivers. The first attempt failed but the proposal was accepted by the National Union of Hunters and Fishermen and was finally included in Bulgarian legislation. Unfortunately there are no standards for effective fish passes which are often built and managed without taking species’ requirements into consideration. Most of the time the water in the basins flows very fast, there are no shelters for migrating fish and very often habitats dry for several months. Due to these reasons the existing fish passes are usually not able to ensure fish migration. Function: The bridge lies outside of Natura 2000 sites but within a migratory ecological corridor. It will ensure connectivity between the populations of large mammals in the Orvilos/Slavyanka and South Pirin/Western Rhodopes mountain ranges.